^ 1.0 1.1 Jacobson, R.A. and Rush, B. (2006) MAR063. Planetary Satellite Mean Orbital Parameters. JPL/NASA. 2007-06-28 [2008-02-13]. ^ Mars: Moons: Deimos. NASA Solar System Exploration. 2003-09-30 [2008-08-18]. （原始内容存档于2008-09-16）. ^ 3.0 3.1 3.2 3.3 3.4 Planetary Satellite Physical Parameters. JPL (Solar System Dynamics). 2006-07-13 [2008-01-29]. ^ 6.0 6.1 6.2 Blunck, Jürgen. The Satellites of Mars; Discovering and Naming the Satellites. Solar System Moons: Discovery and Mythology. Springer. 2009: 5. ISBN 3-540-68852-8, 9783540688525 请检查|isbn=值 (帮助). 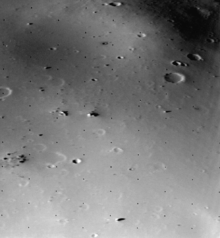 ^ Deimos – Viking 2 Orbiter. NASA NSSDC. [2009-07-12].